If you’re looking for knowledgeable, in-depth discussions of the region’s archæology, let me tell you now: go elsewhere. You’re in the wrong place. 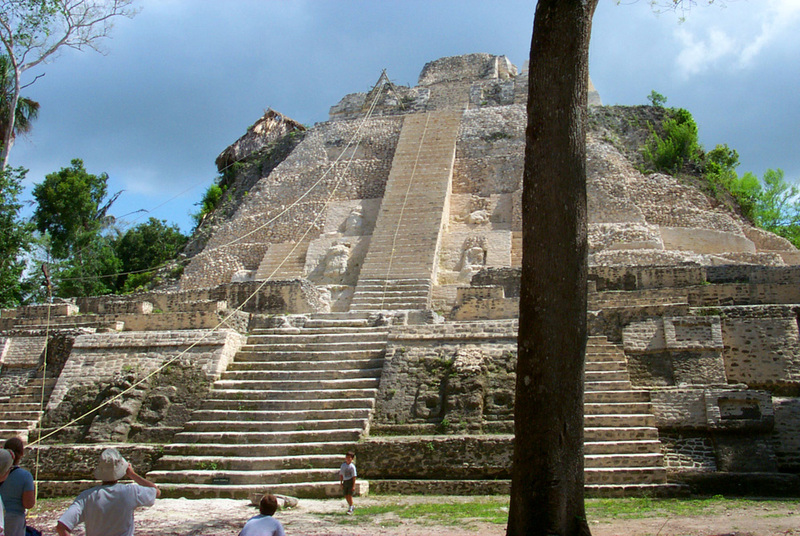 I’ve only once had the opportunity to study the Maya, when I was at university, and other classes conflicted. What I know comes through osmosis: from discussions with friends & family. But osmosis is a poor way to learn: any failures below (or anywhere in the site, for that matter) are my own, and shouldn’t be attributed to those around me. Please note: you will need at least Quicktime 5.0 to view a lot of the work here, particularly the work I did at Dos Barbaras. If you don’t have it, go download it — it’s free from Apple. The area where the Programme for Belize nature reserve is in the northwest slice of the country (look for the “Rio Bravo Conservation Area” & you’re practically on top of it). When you’re travelling there, you’re near the border with Mexico, and you’re not that far from the border with Guatemala. 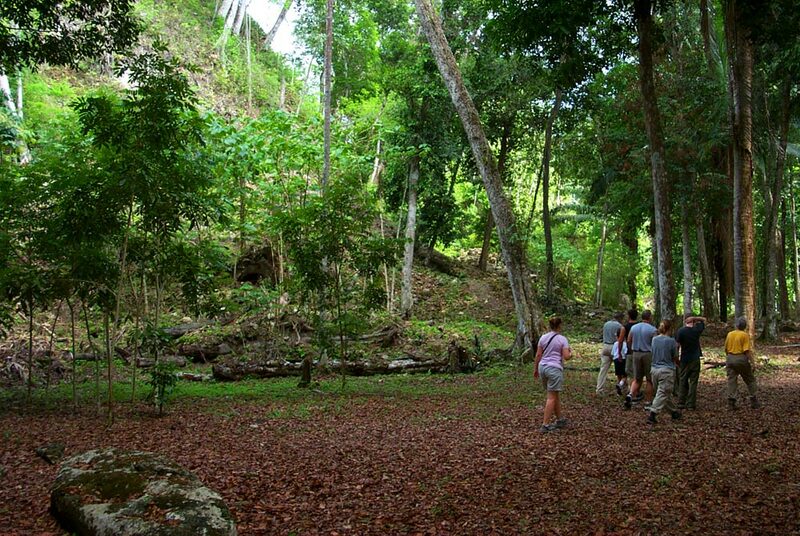 The area is all covered in a dense canopy of rain forest. 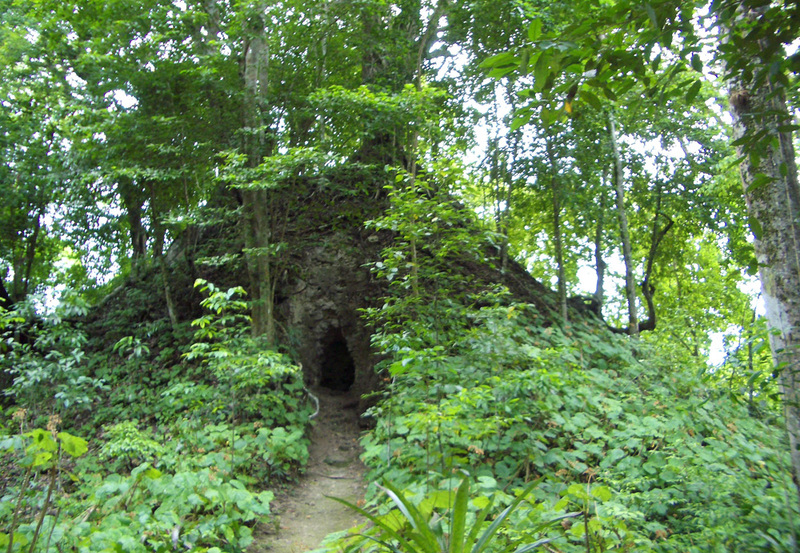 At one point, however, a lot of it was cleared and it saturated with Maya settlements. The PfB Field School is situated in the middle of all of it. One thing I learned was that like your body has to with the humidity, your eyes have to acclimate to your surroundings. The cover is so thick that I found it initially hard to see any of the evidence of past civilisations that was all around me. I’ve shifted the work I did to its own series of pages because there’s simply so much of it to see. You’ll need Quicktime (see note above) to view much of the stuff here. 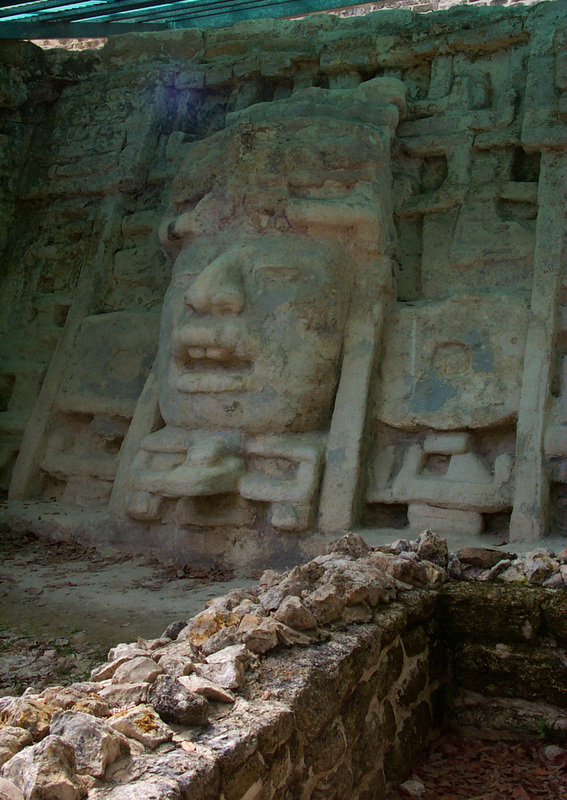 Nearby (about an hour’s drive away from PfB) is the Lamanai site. In 2003, Fred Valdez brought us there for a tour of the site. Lamanai was clearly a massively important centre: there are quite a few pyramids of similar size, and there are smaller pyramids with some fantastic details on them as well. 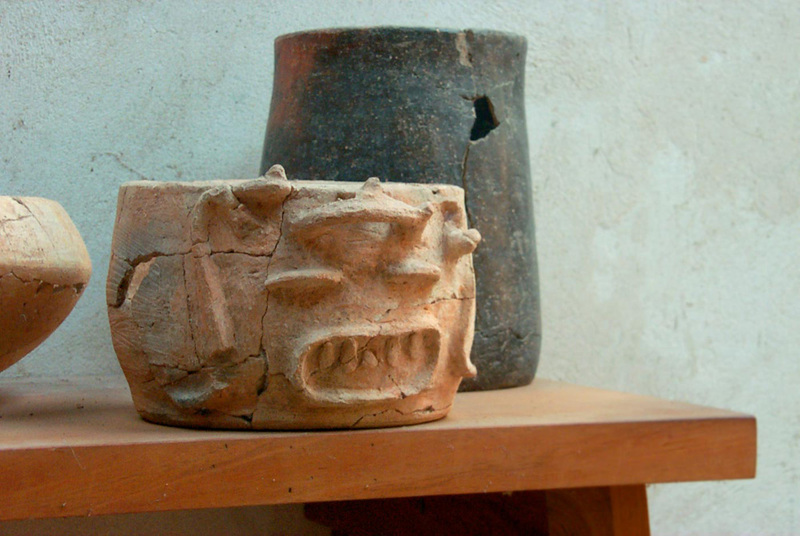 In addition, archæologists found quite a few examples of pottery. 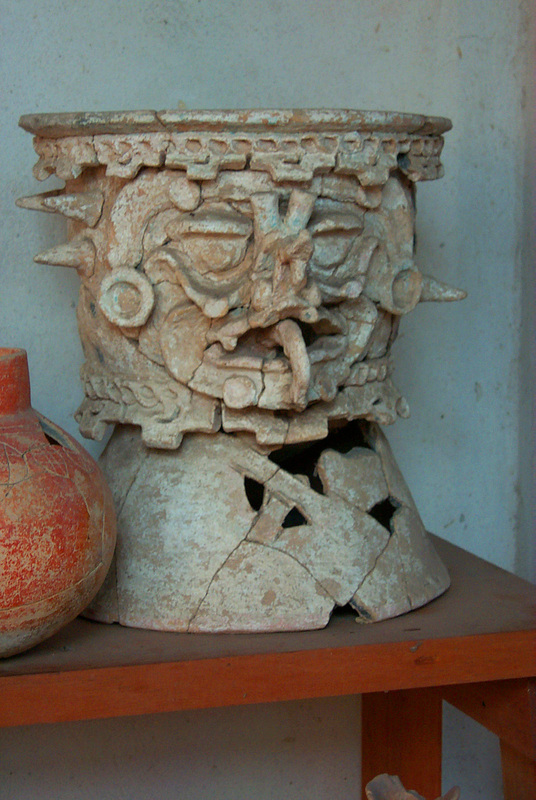 One of my favourites was this grimaced container. 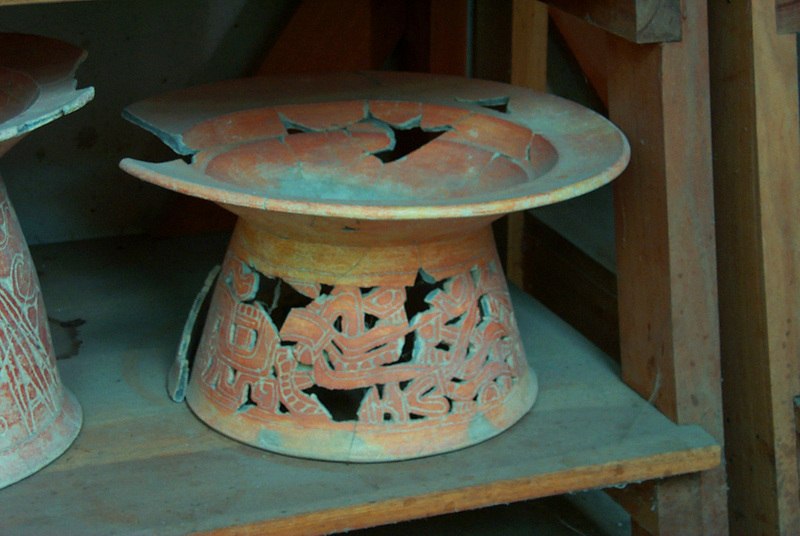 In addition, there was another elaborate container and a shallow bowl with low relief. 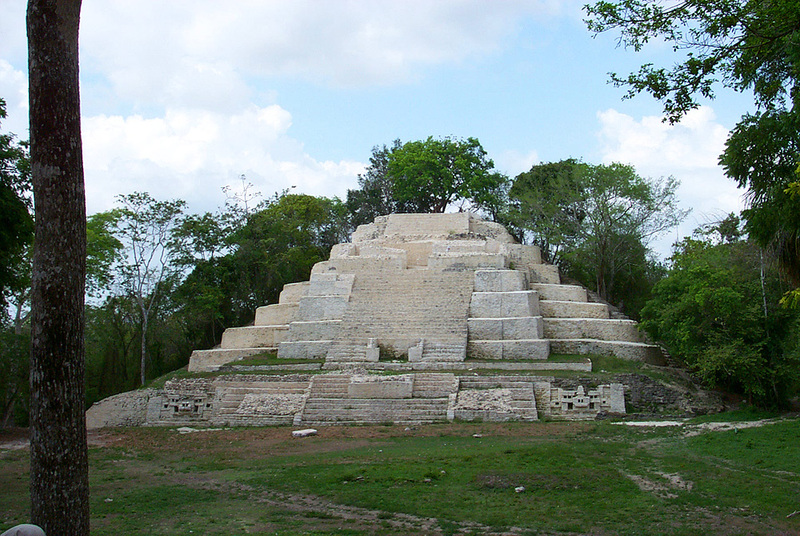 What’s nice about Lamanai, vis-à-vis the sites at PfB, is that it can help you visualise what PfB has. 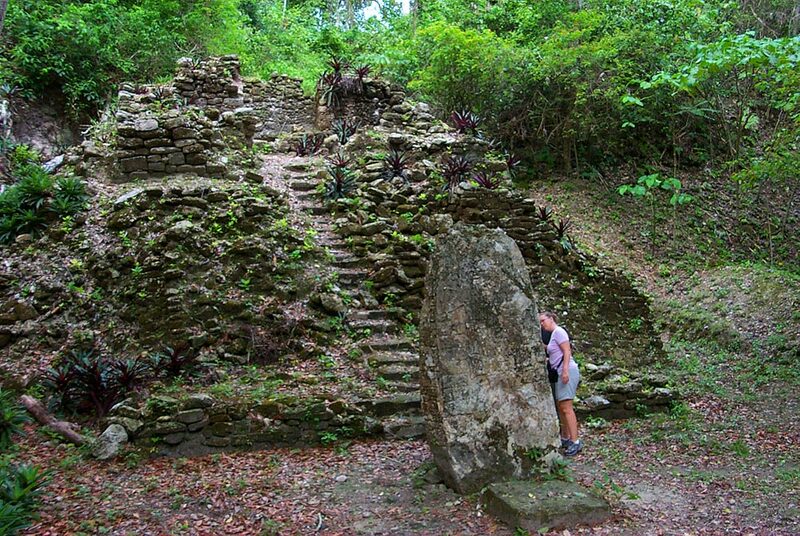 At Lamanai, they didn’t have to cover up what they had found; because PfB a protected region, the sites are covered up after the archæologists have completed their investigations. I’ve mentioned elsewhere that your eyes need to acclimatise before you can see what’s around you. The cover is so thick that you sometimes cannot see what is literally right in front of you. Fred Valdez was showing us around the site, and he said “And over there is a sixty-foot tall temple”. “Where?” I asked. “There, about 20 feet from you”, Fred replied. I hadn’t seen it through the greenery: a massive mound. See the curve of land in the top 1/3 of the picture? That’s what he was talking about. In addition, I took another photo of a smaller temple with a stele in front of it. La Milpa was (actually, is) a large site, and the large sites have attracted less scruplous interest. 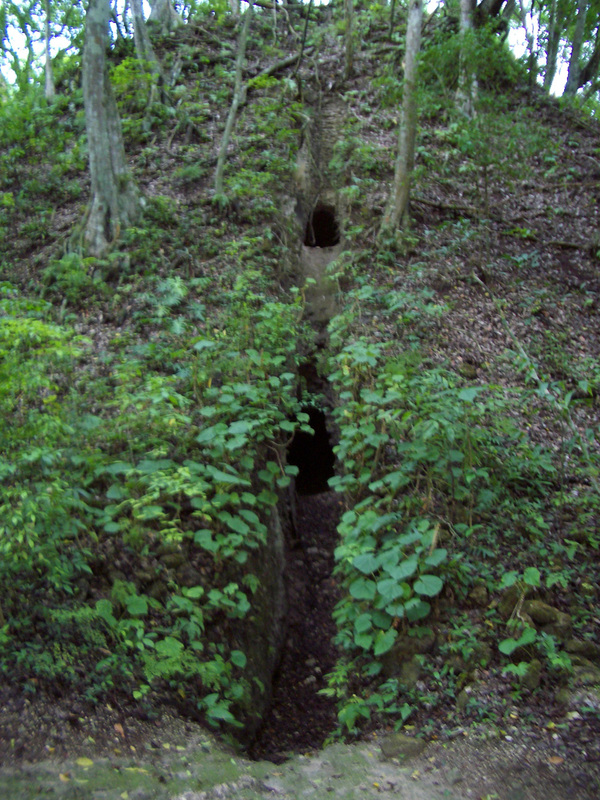 A lot of the larger pyramids at La Milpa have looters trenches. For one evening we got away from PfB to go to Chan Chich, for some much-needed R&R. Well, much-needed for some of the people who had been at camp for six weeks. I didn’t feel worthy of a break. But I’m glad I went. I only wish I had more than a handful of minutes to explore. Chan Chich is about 1 hour’s drive north of the PfB camp, but it feels like a different world. It’s a resort as well as an archæological site. The pano here shows the cabañas in the plaza of the archæological site. Chan Chich has its own Field School; I can only imagine the luxury they have to, erm, endure. While some may deplore the introduction of commercialism on an archæological site, it’s had its good effects: some of the looters’ trenches of the surrounding structures aren’t ancient, but very recent. When they first opened the Lodge, apparently they had to have someone with a shotgun to keep the looters away.